Kolak is an Indonesia dessert made from palm sugar, coconut milk and pandan leaf. 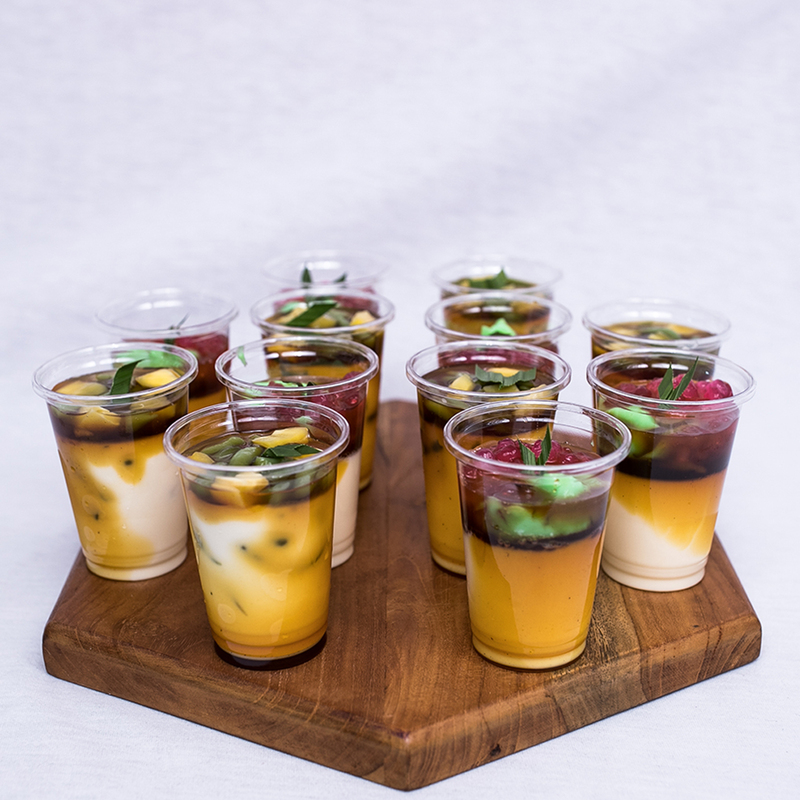 Fill with banana, sweet potato, kolang-kaling and mix with our classic pannacotta. Smooth, sweet and sensational. 1 box contain of 12 Kolak Pannacotta. You can mix the box with Cendol Pannacotta and Bubur Sumsum Pannacotta, just fill in the box below your desired flavor. 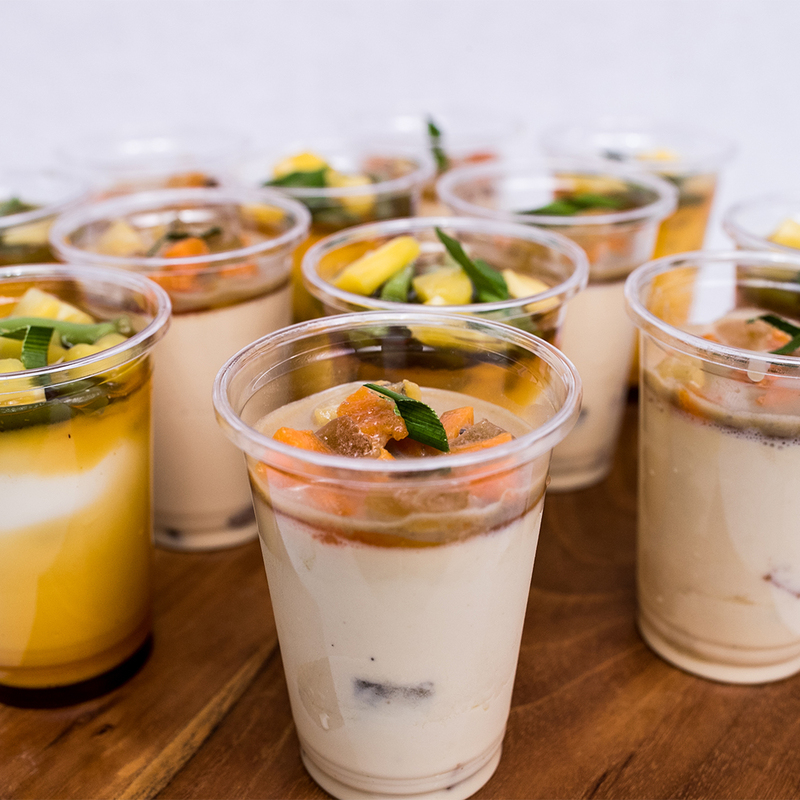 Along this Indonesia’s Independence Month and in the spirit of Asian Games, enjoy 30% off for Kolak Pannacotta.